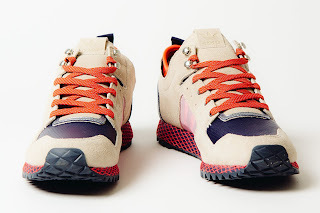 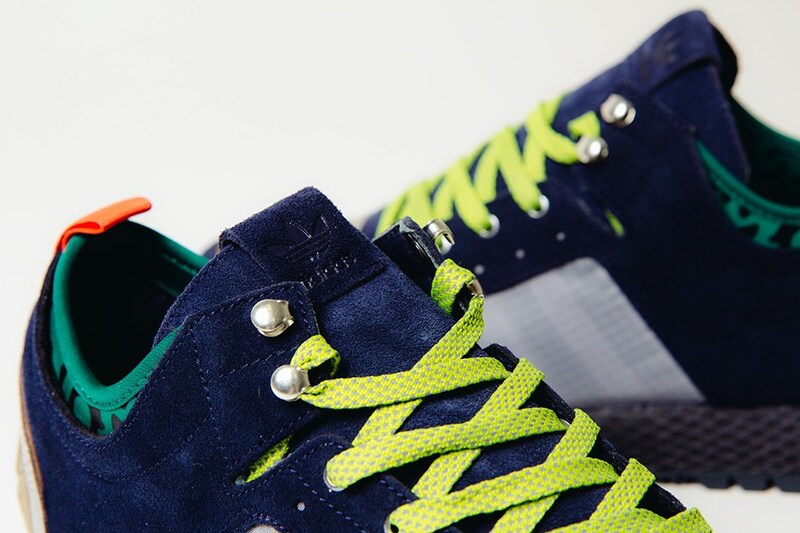 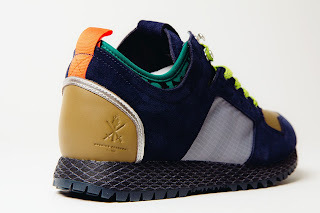 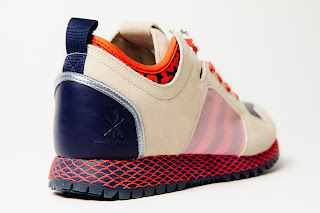 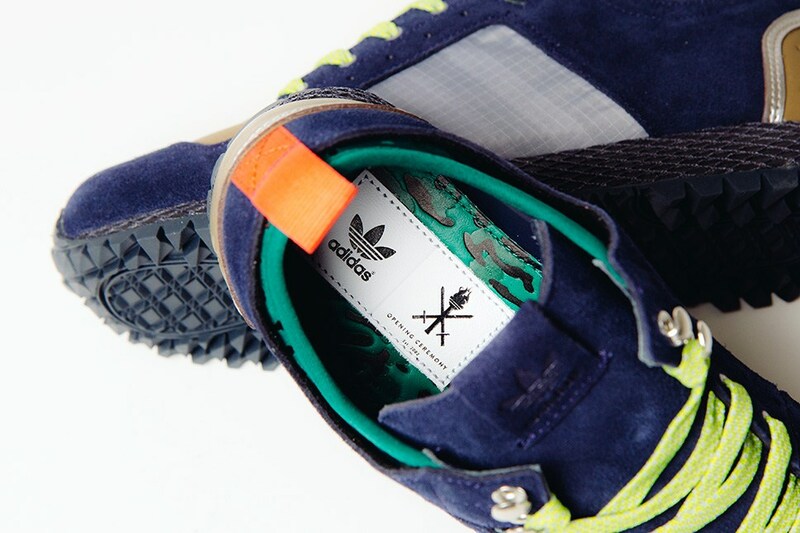 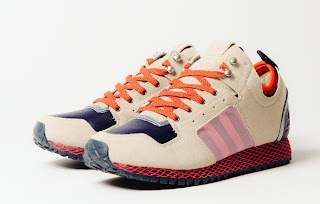 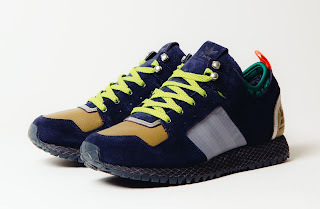 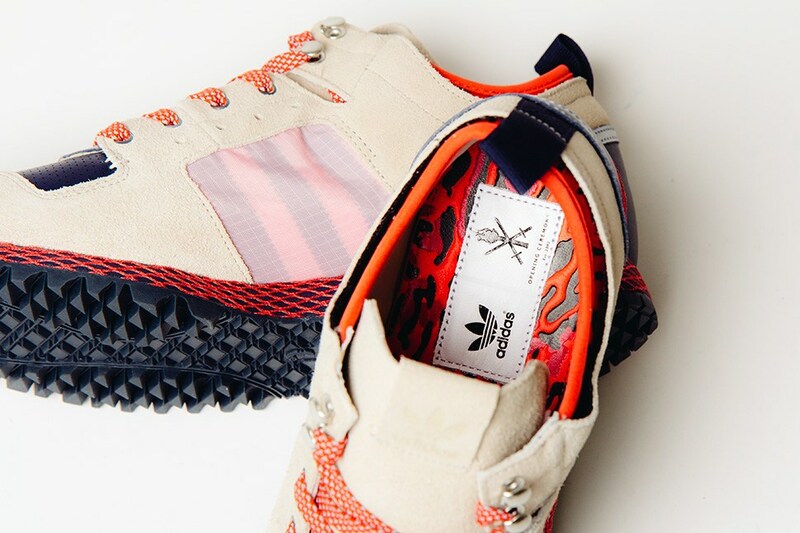 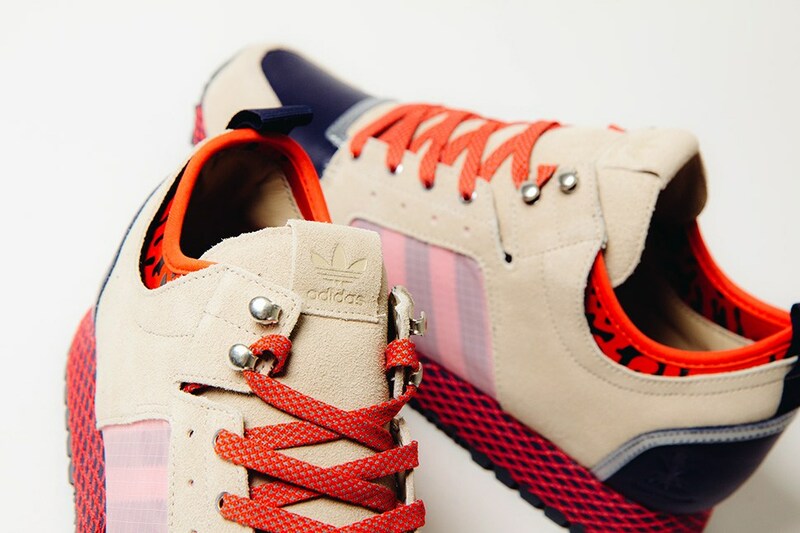 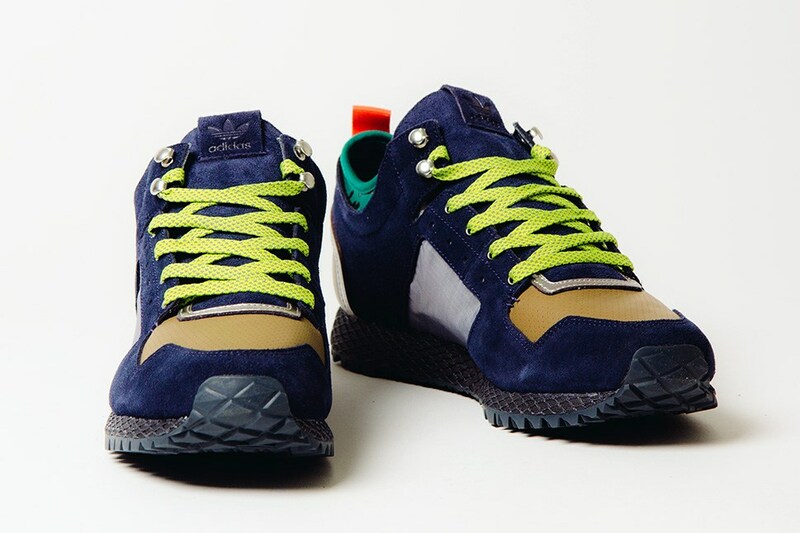 For Spring/Summer 2013 Adidas continue to collaborate with Manhattan-based fashion house and luxury retailer Opening Ceremony, this time creating a series of pieces inspired by running and tennis, infused with nostalgic elements of 90's street fashion. The New York Run takes a classic tennis shoe and infuses it with new colours and textures in a major overhaul by OC. Constructed with leather lined suede uppers which feature perforated leather on the toe, solid leather at the heel and a semi-transparent Rip Stop side panel. 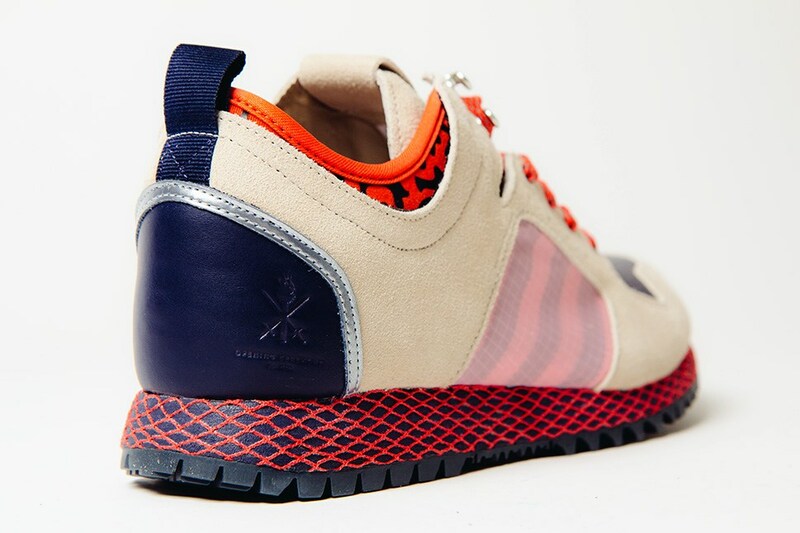 The New York Run sits on top of a Dellinger Web shock dispersing sole and it is finished with a cheetah print neoprene sock liner, metal lacing hardware and embossed logos on the tongue and heel.